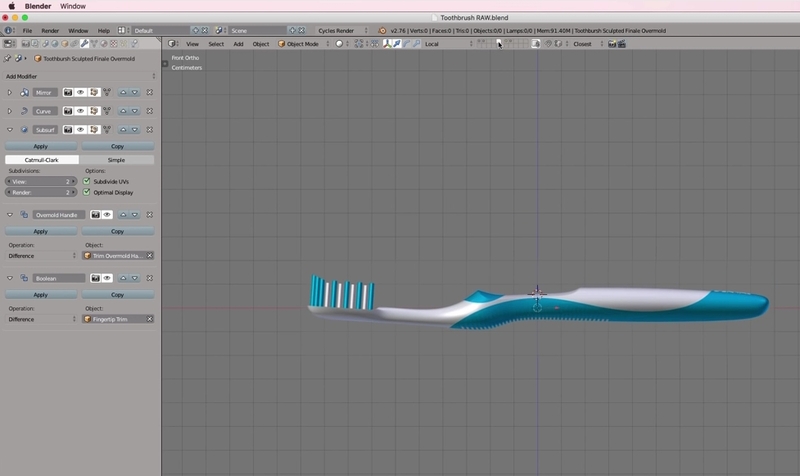 This is a long and very impressive Blender and Fusion 360 tutorial from Claas Kuhnen modeling a toothbrush. The tutorial contains 3 videos which together have a length of about 3 hours and 20 minutes, so you will learn a lot of professional modeling techniques. The first part is about creating the toothbrush with Blender using a reference. The modeling is done here using the subsurface modifier. In the second part Claas is adding details to the toothbrush. You get to know the curves feature of Blender to position objects along a path, very impressive.